These killer routines not only torch more calories, they make time fly! Get Better Results in Less Time! Go to gym. Run on treadmill. Rest. Repeat. 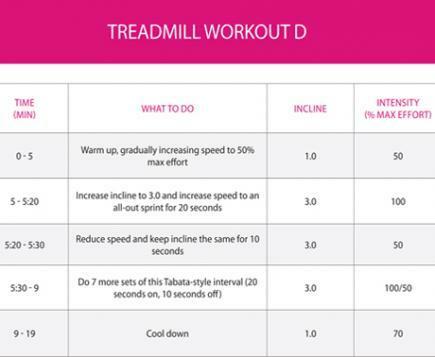 If this sounds like your cardio routine, it's time to change it up! Not only will you grow bored of your 30-minute, steady-state run, but eventually you'll stop seeing results. To avoid a plateau, you need to keep your body guessing by varying speed and incline. 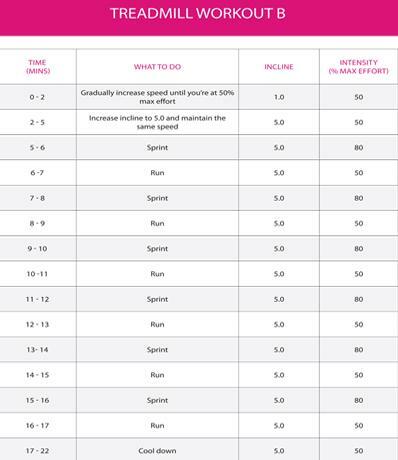 In addition to burning more fat, these four interval plans will keep your mind occupied so your workout flies by! If you work just a little harder, you’ll be in and out of the gym faster (each plan takes less than 25 minutes) and get better results. Print one out to try today! 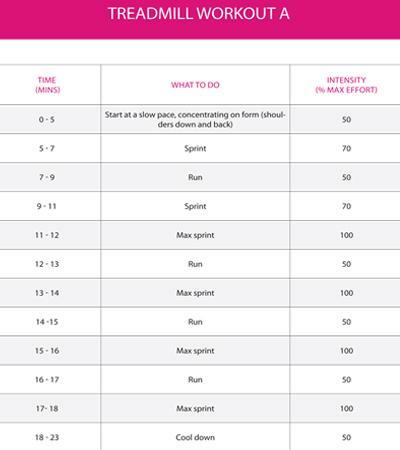 Click here to see a larger version of this workout chart.